God painted a magnificent sunset last night and allowed me to capture several photos. 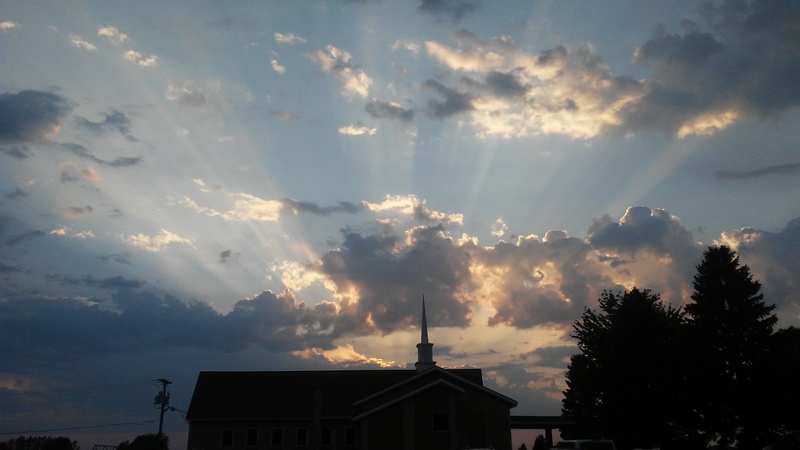 This is God’s beauty shining above my church building. My church is Grace Baptist. I thought of God’s grace shining in our lives as I took the picture. God gives us beautiful reminders of who He is and what He desires for our lives.